Hohokam Estates Subdivision is in the Northeast Area of Tucson, AZ. This Tucson subdivision is near the intersection of Snyder Rd. and N. Soldier Trail. The Aqua Caliente Park is minutes away. A great place for a relaxing afternoon of nature watching. Shopping, restaurants, and activities can be a bit of a drive depending on the specific subdivision. There is a wide range of home choices available in the Hohokam Estates Subdivision and throughout the Northeast area. Some will offer an urban feel while others seem rural. 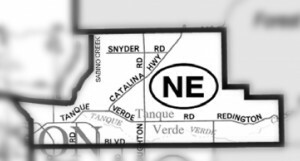 Families living in Hohokam Estates Subdivision are served by the Tanque Verde School District. Restaurants to visit if you are in the Hohokam Estates Subdivision are Eclectic Cafe and Gusto Osteria. Considering A Home In The Hohokam Estates Subdivision In Tucson, AZ? Are you thinking of buying a home in the Hohokam Estates Subdivision or another area of Tucson? Finding the right home can be a challenging process. But we can make the process much less stressful for you. Thinking about selling a home in the Hohokam Estates Subdivision?